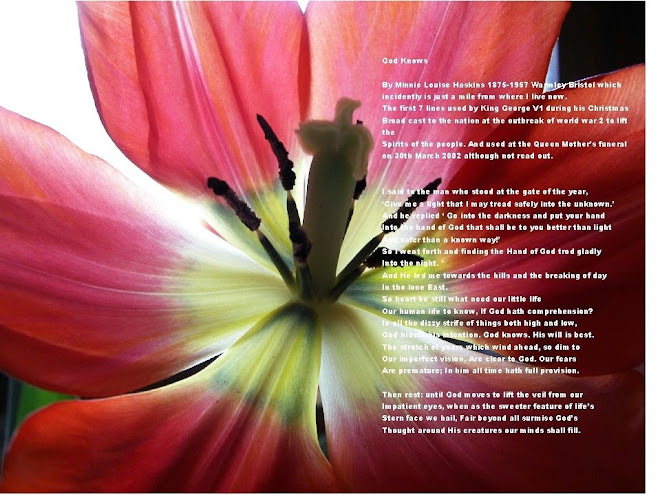 History and Politics-- by Dennis A. Wilson: POISON ROSE ? Perhaps Rose had read the accounts of Christina Edmunds, the infamous British poisoner who had fallen in love with her doctor in 1871 and subsequently killed his wife by feeding her sweetmeats laced with Strychnine. To cover her own guilt and implicate her confectioner, she had laced chocolate creams in his shop with the same poison, killing an innocent 9 year old boy. Perhaps she had read in The Weekly Wisconsin of May 3, 1890 the account of Dan Allen, a respected Neillsville farmer who while engaged in an extramarital affair with his neighbors wife conspired with her to kill her husband and his wife with arsenic and strychnine. Perhaps she saw the poison in Dr. Mitchell’s cabinet and conceived of the plan knowing only that it was an effective rat killer. Perhaps she didn’t commit the crime at all. Opinion was divided between ardent advocates of her guilt and fervent defenders who saw an innocent young woman prosecuted and convicted on scant evidence. This was not a Grant County crime. The death being tried as a murder occurred in Richland Center, county seat of our northern neighbor. A change of venue brought it all to Grant County, and the courtroom of Judge George Clementson. 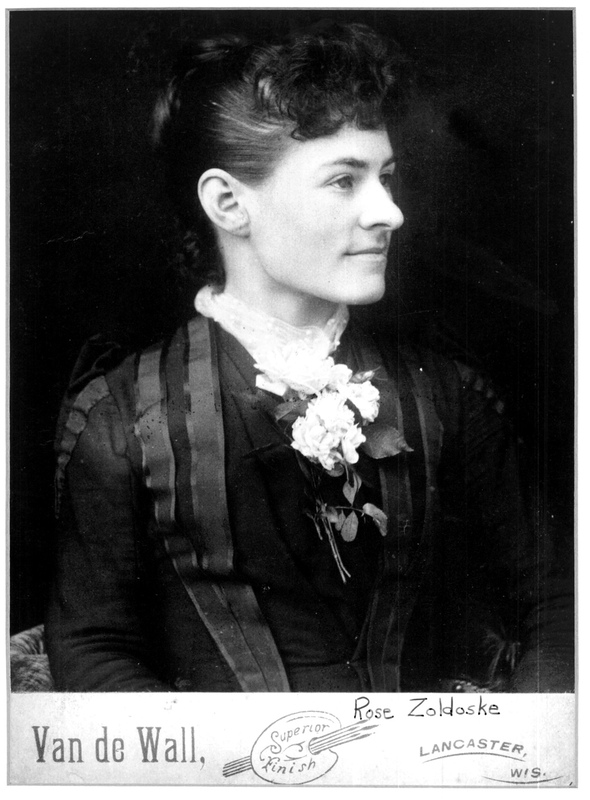 Rose Zoldoske (also spelled “Zoldoski” in some accounts) was born and raised in Ithaca, Wisconsin. She had moved to Richland Center in 1888 and rented a room in the home of Doctor G. R. (George Ray) Mitchell and his wife Laura. She became a friend and confidant of Mrs. Mitchell, and helped to care for their ten year old son Freddy. Rose found work in Mrs. Wilson’s millinery shop, and became friends with other young women in her church. In February of 1890 Laura Mitchell had a baby she named Lottie. She was ill for weeks after the baby’s birth, and Rose took on the job of caring for the child. On March 25th her illness worsened and she went into convulsions. She died within hours. In the months that followed Rose, along with an elderly roomer and a “hired girl” named Annie McLaren cared for Freddy and the baby. On the night of January 8, 1891 Rose Zoldoske invited a few of her friends to her home (Dr. Mitchells House) for a party. 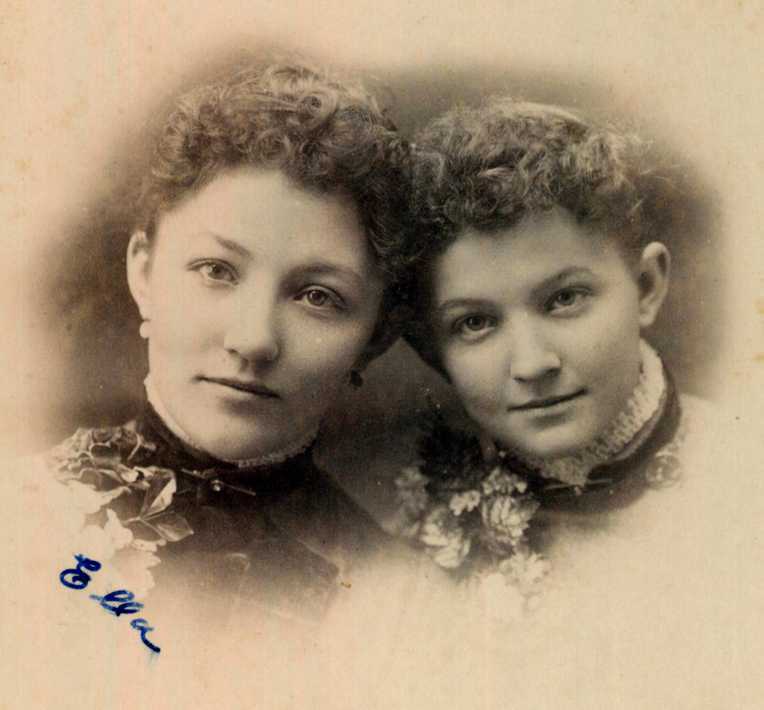 Among those invited were sisters Ella (age 23) and Lilly Maly. The guests were served oyster soup, oranges, and cake. Before eating, Rose said she was sick and went up to her room. 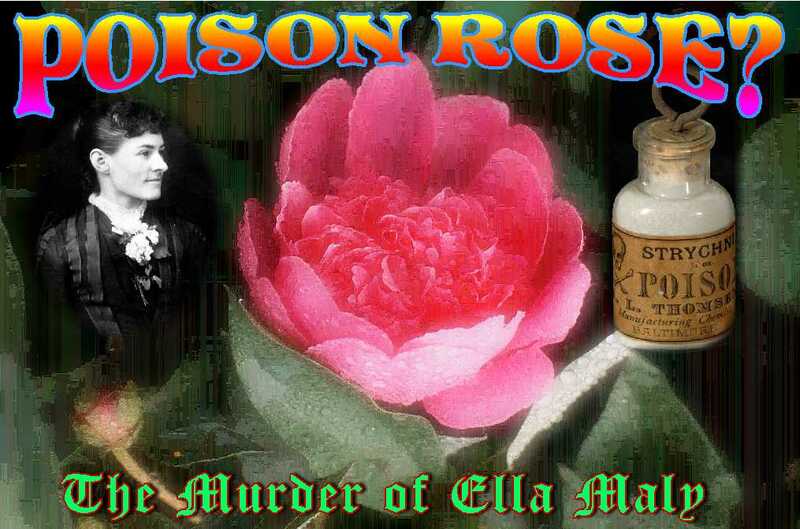 A friend went up to see her, and Rose, she alleged asked her to send up Ella Maly. They talked for a while and then Rose came down and joined the group. At about eight o’clock Ella and Lilly decided to go home. Rose called them into the room where their coats were and from a bag She poured some chocolate creams into her hand and gave them to Ella, then she poured more into her hand and gave them to Lilly. She had purchased chocolate creams earlier in the day from two different shops. As she left, Ella ate one of the chocolate creams she had just received. A few moments later she ate another, commenting to her sister that it tasted bitter. Within minutes she felt a strange sensation in her legs, then in her arms. She said she could walk no further and fell in the snow beginning to convulse. Doctor Mitchell and another doctor named Haskell were called. Ella was taken to her parent’s home where she suffered convulsions until midnight when morphine and chloroform were administered by the doctors to ease her suffering. Soon the convulsions returned and she died at 7 a.m. on January 9, 1891. Rose went to work the next day, not knowing that Ella had died. When she was told she became ill and was assisted in getting home by her employer, Mrs. Wilson. Later in the morning Dr. Mitchell came home and told her she was under suspicion of poisoning Miss Maly. After He left she became ill again and went up to her room where, Anne McLaren testified she commenced to moan. McLaren said she went up to check on her and later testified that Rose said to her: “Suppose there was poison found in Ella’s stomach, could they tell what the poison was taken in? If one was sentenced to the penitentiary, would it be a life sentence?” The hired girl allegedly replied: “I suppose the house will be searched, so that they can ascertain if there is anything about the house to cause suspicion to rest upon it.” She testified that Rose went upstairs and soon returned with a small package in her hand that she threw into the stove. The hired girl testified that Rose then discussed with her the death of Mrs. Mitchell, and said that she might have eaten poison also, and been persuaded by Dr. Mitchell to take it. Rose went to the funeral of Ella Maly, collapsed and had to be assisted out of the church. Dr. Mitchell testified that he had a labeled bottle of strychnine (the purified chemical extracted from nux vomica) kept in his medicine cabinet, which he had used before his wife’s death to treat cheese used to kill mice and rats which had gotten into the house. He said that he had examined the bottle and could notice no difference in the amount of poison in the bottle after his wife and Ella Maly had died. Rose Zoldoske was taken to jail on January 14th, and charged with the murder of Ella Maly. 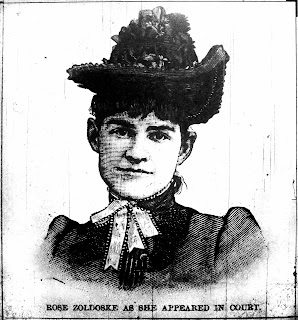 Her trial began in June 1891. At the request of her lawyer the trail was moved to Grant County. Large numbers of people witnessed the trial and it was the talk of the county. Rose made a good impression on the people of Lancaster. She was photographed in her jail cell surrounded by floral wreaths and bouquets sent by the young women of Lancaster. Mr. Joseph T. Bennett of Lancaster said that the demand for photographs of her was so great they could not keep up. The photo in the Title poster was taken by Lancaster Photographer Van De Wall. When the trial began Zoldoske’s lawyer requested that the witnesses for the prosecution not be allowed to be present in courtroom to hear the testimony of the other prosecution witnesses. Judge Clementson said, “I see no really good reason why this rule should be enforced in this case” and denied the request. Testimony was given that Ella had accompanied Dr, Mitchell to Practices for church concerts and had walked her home a time or two, the inference being that this had caused Rose to become jealous and fear that he would marry Ella instead of her. A witness also testified that before her death Mrs. Mitchell had said to her that if she (Mrs. Mitchell) should die the doctor would be paying attention to Rose within two months, and would marry her within six months. Others testified that Rose had asked several women, and had also written a letter to a local doctor name Lovering asking them to put a good word in for her with Doctor Mitchell. Those witnesses said she had offered them money for this service. Though Rose’s attorney never let her testify in her own defense; she later said the doctor lied about her having sent him a letter. She said the discussions with the women were in jest and they often made this sort of prattle. She stated that she had not poisoned either Ella Maly or Mrs. Mitchell. There was no evidence submitted to show that Rose Zoldoske ever had possession of any poison, nor was any other physical evidence submitted tying her to the crime. District Attorney Bryhan of Richland Center told the jury, mostly Grant county farmers, that the evidence was circumstantial; “little incidents standing alone seem of little importance”, he said, but “when brought together to support each other they bring a great fact into view.” Her attorney, L. H. Bancroft said that the witnesses against Rose were “vinegary old maids” and continued: “In March 1890, Mrs. Mitchell was confined. A babe was born who still lives. She was sick for a week. Had convulsions through the week, such as the one in which she died. Soon after her death the gossips had it that Rose Zoldoske would now soon be Mrs. Mitchell, and the gossips did the rest of it…The defendant had nothing to do with preparing the supper at the party. She wanted him (Freddie) to get it (the candy), but he declined. The girls went into the room and Rose passed the paper of candy, both receiving some. For a period of 11 hours she (Ella Maly) survived….Physicians reported at the inquest that Ella Maly died a natural death.” After testimony from women she had called friends, and others she alleged were lying, she was found guilty by a jury that at first had been divided. Jurors later said that the foreman of the jury, Charles H. Baxter, later a state senator, had forcefully argued for conviction and even threatened physical violence against the last two men on the jury who held out for her innocence. They had acquiesced reluctantly. After entering the penitentiary, large numbers of citizens signed petitions asking Governor Peck to pardon her. Signatures came from all the cities and towns of Grant County. Much of the opinion was that she had been convicted by the rumor mongering citizens of Richland Center, and on no other real evidence. The case was appealed to the State Supreme Court on several bases: that it was entirely based on circumstantial evidence and unsubstantiated witness testimony regarding her comments; That other hypothesis could be drawn from the testimony and evidence to implicate others, including Freddie and Dr. Mitchell; That the court in its instructions to the jury allowed a presumption of guilt solely because Rose did not introduce evidence or testify; That Maly lived too long after the onset of her symptoms for it to be attributed to strychnine, which is known to cause death in 2 -3 hours; That evidence of the cause of Mrs. Mitchell’s death should not have been allowed in evidence because the issue at trial was the death of Ella Maly (Judge Clementson had instructed the jury that if they believed that Mrs. Mitchell’s death was caused by strychnine poisoning and not the nux vomica Dr. Mitchell administered they could consider that in deciding whether Ella Maly’s death was an accident or not) ; That the judge instructed the jury to determine if strychnine was the cause of death, and separately to determine if it was a suicide or accidental ingestion. The Supreme Court refused to overturn the conviction, and in 1894 Governor Peck refused to consider a pardon. Rose Zoldoske was in prison and so could not be held responsible. After her pardon Rose left the State and moved to Oklahoma to live with her father. She does not appear under the name Zoldoske in later census reports, so presumably she married and lived a quiet life. Many of her brother’s descendants still live in Oklahoma. Dr. Mitchell continued to practice medicine in Richland Center. Initially his practice suffered. In November of 1892 he married Minnie German. Her family opposed the marriage. His son Frederick “Freddie” Mitchell became a physician. Another son by Minnie German Mitchell, George W. Mitchell, became a member of the Board of Governors of the Federal Reserve. In 1917 Dr. Mitchell and his wife moved to Madison.